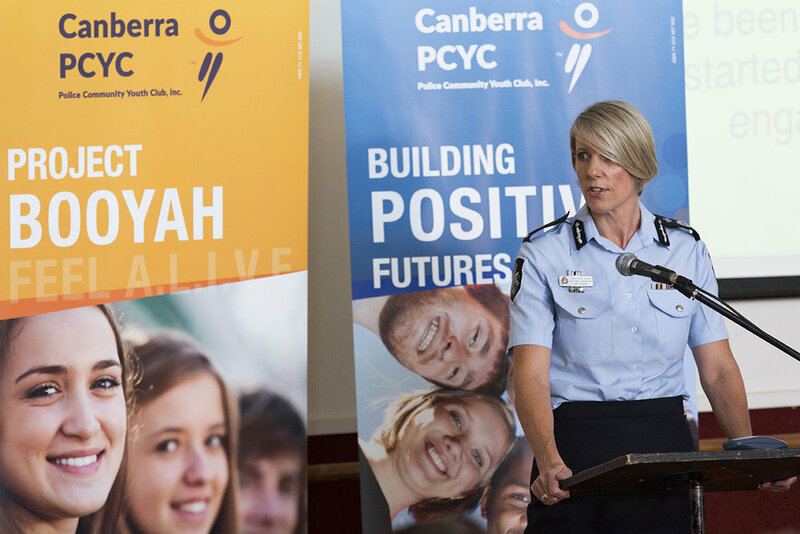 Australian Federal Police (AFP) and the community, to celebrate the graduation of participants from ‘Project Booyah’- an Australian Government Initiative by the Canberra Police Community Youth Club, Inc. (Canberra PCYC). Seven young people from across the Territory received their certificates from the Assistant Minister for Social Services and Multicultural Affairs Zed Seselja. Senator Seselja was joined by the ACT Chief Police Officer Justine Saunders, and Canberra PCYC President Jayson Hinder, in congratulating participants on their achievements. ensuring that at risk young people are supported to become engaged and productive members of our community.” Six participants also received Certificate II qualifications in Skills for Work and Vocational Pathways from the Canberra Institute of Technology (CIT). After a successful start in Queensland where the program was developed by the Queensland Police Service (QPS), Project Booyah is now available for at risk young people aged 14 to 17 years in the ACT region. The program centres on collaborative early intervention for at risk young people, bringing together government, community, education and police to achieve positive change. In 2016, an independent review of ‘Project Booyah’ by Griffith University for QPS found the program resulted in a decrease of 41% in criminal attitudes, a 35% increase in self-esteem and a 16% positive change in family relationships. Participants described ‘Project Booyah’ as “an incredible experience.” “The best thing about Booyah is that it has put me back on track, I have been doing a lot better since I started attending, I have reengaged with school and the work we do at CIT is more practical and shows you how to do things in the workplace” said one participant. stories that often consisted of a pretty tough upbringing. They were all looking for the same thing I was– an alternative to dealing with high school” said one participant. In the five years that ‘Project Booyah’ has been running in Queensland and other states, a total of 386 young people have graduated from the program.